Providing you the best range of dynamic balancing machine, hard bearing dynamic balancing machine, belt drive hard bearing balancing machine, hard bearing vertical balancing machine and end driven dynamic balancing machine with effective & timely delivery. 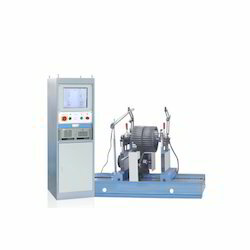 With the constant support of experienced professionals, we are offering optimum quality Dynamic Balancing Machine. With the constant support of experienced professionals, we are offering optimum quality Hard Bearing Dynamic Balancing Machine. 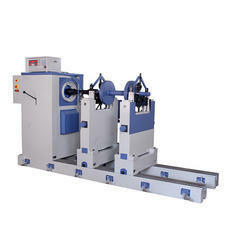 This has horizontal type universal hard bearing machines, and fully automatic working cycle. Minimum achievable unbalance up to 0.5 micron shift in c.g. 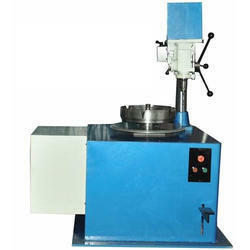 Since the inception of our firm, we are offering a quality assured array of Belt Drive Hard Bearing Balancing Machine. Our offered machines are ideal for components like the armature of FHP motors, small impellers, Grinding spindles, turbo chargers and others. Owing to the knowledge of this domain, we are offering to our patrons a broad spectrum of Hard Bearing Vertical Balancing Machine. 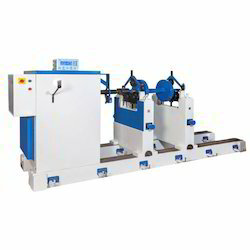 We offer permanently calibrated hard bearing vertical balancing machines that are ideal for balancing the components which do not have heir own journals. Few of such components are Turbine Discs, Impellers, Grinding wheels, pulleys etc. Our range precision engineered machines offers convenient and safe for the operators. Electronic Measuring System: The electronic circuitry used is built in with Plug in type cards. All components used are industry standards and carefully selected for long life and trouble free operation. All measuring systems have built in electronic compensation for compensating the shift of component journal axis from the spindle axis. Our range is available with various measuring systems to suit various components such as direct indication of unbalance mass and angle in digital form. Unbalance resolved in components at 120, 90, 60 etc. According to ISO definition, balancing is procedure by which the mass distribution of a rotor is checked and if necessary, adjusted in order to ensure that the vibration of the journals and/or force on the bearings at a frequency corresponding to the service speed is within specified limits. Unbalance in a rotor not only leads to forces on its bearings, journals and foundations but also to machine vibrations. At any rotational speed both effects are mainly dependent on mass distribution in rotor and machine, as well as on bearing and foundation stiffness. Vibrations, if of sufficient intensity, influence the function and the life of the machine or adjacent equipment. Safety and Ease of Handling. Drive methods which meet your requirements. The appropriate electronic unit for your Balancing problems. All these models are suitable for Balancing variety of components as well as for reduction balancing. All types of components, i.e. Armatures, Crankshafts, Fans, Flywheels and all such rotating components can be balanced on these machines with properly designed balancing Fixtures.